Do you have a problem with your dog/cat/horse/fish? If you’re looking for an animal psychic reading, you’ve come to the home of the experts in Soul Level Animal Communication® and pet psychic readings! 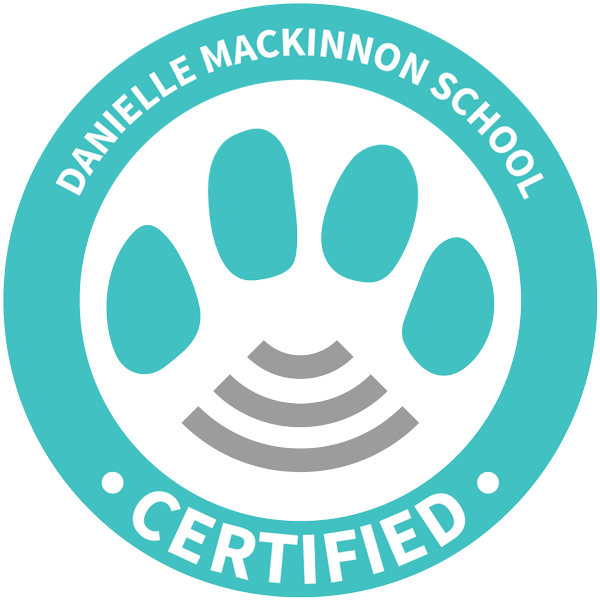 Every single person featured on this page has worked hard to become Certified through the Danielle MacKinnon School and every single person here wants nothing more than to give you the best animal communication reading possible! Find the best match for your Animal Psychic reading below! Use this legend to understand more about your chosen practitioner’s education and areas of concentration. Ana’s mission is being a voice for the animals. She offers intuitive sessions to help them get their messages across to you. She works with animals who are alive, in transition and passed. During a session, Ana will share messages she receives in forms of thoughts, images, feelings, energy, words, knowing, and emotions. Ana believes animals in our life are here to help us learn how to love unconditionally and be our best selves. By communicating with your animal you will deepen your connection and discover what soul lessons they are teaching you. You will also get the chance to ask them questions. Listen to your animal and transform your life! 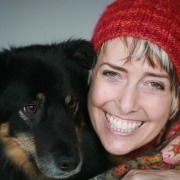 Anna skillfully combines love for animals with psychic abilities into passion for Animal Communication. She connects with you and your animal “beyond the tangible” on a deep level. During a reading Anna receives a lot of visual details and delivers all in a transparent and straightforward way. Her intuition and people personality creates a comfortable session, which helps you to understand your animal companion and enhance your relationship. Anna’s senses provide her also with knowing, feeling and hearing, which allow her to connect to animals alive or in spirit. The session will enrich the bond between you and your animal and provide insights you always wanted to know. Anna speaks English, Polish and German. Dianne offers animal communication sessions for you and your animal companions. 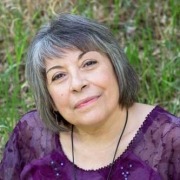 Whether your animal is alive or has crossed over, Dianne will work with the two of you to help answer your questions and reveal messages from their soul about what they are teaching you. Animals are in our lives to help us to learn life lessons and grow. Our animals want us to know what they have to say to help us be the best version of ourselves. 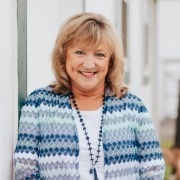 With her caring and gentle manner, Dianne will help you understand the messages she is receiving on your behalf, giving you clarity and enriching your amazing journey with your animal companions. 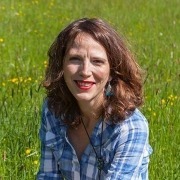 Jenny offers intuitive sessions with both animals and humans. 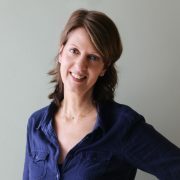 In every connection, Jenny creates a sacred space for awareness, transformation and growth to take place. She views each session as an opportunity to be in service to love, joy and possibility. Her intention is to allow the highest good to unfold for you, your animal and your life. This unique style creates a space for you to feel at ease, and supported, as she guides you through your challenges — both personally, and with your animal. Jenny’s goal is to help you live an inspired life that feels on purpose, either by working with you and your animal, or individually. 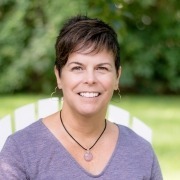 Heather offers Soul Level Animal Communication readings to help you better understand the connection you have with your animals who are alive and those who are in spirit. She believes that animals are essential to our individual growth and to creating a kinder, gentler world. Their messages and Soul-Level lessons provide insight to help us live our best lives. Heather uses her intuitive understanding to share their messages in a manner that best suits each individual. She gets to the heart of what the animals want you to hear while using her joking and caring manner to make sure you feel at ease from the very beginning of the reading. Janine is often teased for being so enthusiastic and positive! But – this can really be a benefit when it comes to tough situations with your animals. 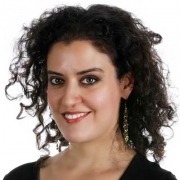 Janine is naturally a glass-half-full kind of person, and she will read your energy and your animal exactly that way. There is always a way to look at messages from your animal in a positive light – even the really tough ones. Through your reading with Janine, you will find that animals offer excellent advice in loving and compassionate ways. Simply learning how your animals are helping you will open many doors for you! Your animals will help you live your best life and thrive! Since her childhood, Kat wanted to be like Dr. Doolittle, to be able to communicate with animals and understand the world through her heart so she could help make it a better place. Many years of travelling and profound self-healing deepened her intuitive abilities. It is her life mission to accompany you in your process to heal old thought patterns, to reconnect with your heart and your soul, so you can reclaim your inner power, to find inner peace and harmony – and all that through the support and guidance of your beloved animal. Having been living in South America for many years allows Kat to also combine her Shamanic wisdom when necessary and desired. Phoebe gets personal, first with you, then your animal, always authentic and always transparent, going to the light or going to the dark side, going where her intuition leads her. She doesn’t hold back. She works with the information she gets from the animal, peering deeply under the surface to reveal the inner workings of the souls she connects with, to gain an even more powerful understanding of the life force driving us and the lessons to be learned. Through this intuitive connection, Phoebe partners with her subjects to create an open and interactive space, culminating in a new insight into the soul contracts we have created. Isabel is like a soul messenger! By intuitively connecting with animals, she gives them a voice and delivers their messages to create deeper and stronger relationships with their humans. She also assists people with pets in palliative care and help them during the very difficult time of the last goodbyes. In addition to animal communication, Isabel offers her intuitive abilities to humans who need help updating their belief system and clearing blockages so they can create the changes they want to see in their lives. Her intuitive sessions are filled with detailed images and deep knowings bringing clear answers and guidance to her clients. Isabel’s warmth and very caring nature make her sessions quite enjoyable! Kathy offers intuitive animal communication sessions intended to help you discover the lessons your animal companions are here to help you learn. By connecting with you (the human) first, Kathy offers intuitive guidance from your animal that will not only give you answers to the questions you have about their behaviors, temperament, and health, but will help you understand how they are using those parts of themselves to communicate the more significant lessons that they are here to teach you. Discovering these lessons and seeing the shifts that come as a result of first the awareness, and then the transformation that follows is Kathy's passion. Maria helps you hear the messages from your animals to deepen your connection and help you live a full and healthy life together. 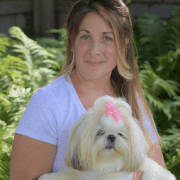 She has extended training in the experience of working with you on the soul contract between you and your animal, as she completed the Soul-Contract Certification with Animals Program (SCCA), in which she intensively worked on the soul contract she specifically has with one of her dogs. Maria can also connect to your animal’s body relaying the things they feel physically and emotionally. As a licensed professional counselor Maria is also able to use lessons from your animals in your therapy sessions, called a program she calls “Therapy assisted by your Animal”. 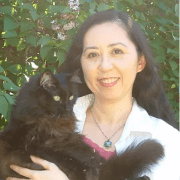 Keiko works at the Soul Level in her animal communication readings to help to create a connection between the human and animal (alive or passed on). Understanding this connection helps to deepen the relationship and assists the human in learning the lessons their animal is teaching them. To know what your beloved pet really thinks of you or another fur-mily member, gives you a different perspective, and together we can work on the improvement to solve a problem. You will experience the bubble of energy surrounded by love and peace during the reading with the help of your beloved pet. Keiko speaks in English and Japanese so your reading can be in either language. 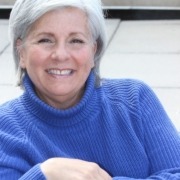 Through her intuitive nature, Patricia enjoys helping you to hear your animal’s soul-level wisdom. She loves creating a supportive, honest, and fun space that allows for awareness, healing, and growth to emerge. 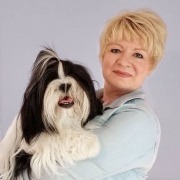 Patricia’s desire is for the absolute best to evolve for you and your animal as she helps you to ‘connect the dots’ to the lessons your animal (alive or in spirit) is teaching you. Ultimately, new insights can awaken immense changes in you as it deepens that special relationship with your animal. Patricia also creates unique pictorial animal art pieces that are designed along with your animal’s direction. Let the journey begin--for as you hear your animal, you heal yourself. Ginger offers Soul Level Animal Communication readings and Intuitive Readings through the Akashic Records. Ginger’s passion for animals led her away from a corporate career and into her own Pet Care company 15 years ago. 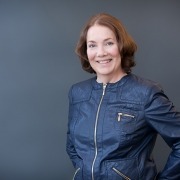 Her intuitive ability with animals and people has strengthened over the years helping her to deeply connect to her clients. She delivers compassionate soul level readings with an open heart. 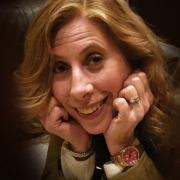 Ginger offers Intuitive Coaching to clients who may be looking for clarity around life challenges they are experiencing. 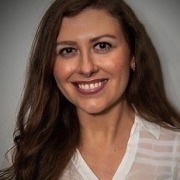 She is passionate about using her Intuition to guide people to a better understanding of themselves, so they are empowered to live their best lives. Geri offers Intuitive Animal Communication for animals both alive and already crossed as well as Intuitive Life Coaching...with a Law of Attraction twist...to humans. To her, it all comes down to helping her clients learn, grow, and ultimately become the best versions of themselves. Geri is so excited when she delivers the messages she receives and those messages cause a client to have that 'a-ha!' moment. For her, it just doesn't get any better. She loves getting to know people and putting them at ease while holding space, supporting, and helping them understand the information she's receiving on their behalf so they can move forward in amazing ways. Blog: "The good, the bad, and the ugly..."
Julie’s favorite thing about animal communication is that, over and over again, she gets to see animals lovingly helping their humans become their best selves. 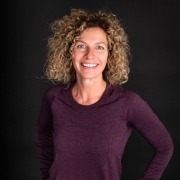 Through intuitive readings, Julie loves to guide her clients on their paths to healing, finding peace, and reaching a beautiful understanding with their animals. Don’t be surprised if she exclaims, “That’s so cool!” during a reading—for Julie, the true magic of this work is that she learns something about the universe and unconditional love right along with her clients each time. 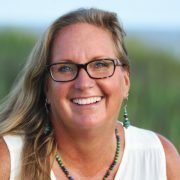 Julie looks forward to experiencing the magic with you, through an intuitive animal communication reading or energy work—wherever your heart leads you. 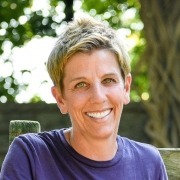 Denyse uses her intuition to bridge the communication gap between you and your animals to discover and explore the messages and lessons your animals are here to teach you. She has a unique ability to connect and relate to you in a way that will feel like you’re talking to an old friend. Denyse will share with you your animal’s thoughts, feelings, needs and wants and how they are supporting you. She uses her own life experiences to help you navigate through those messages and lessons she brings forward. Your animals see the very best in you, and they want you to see it too!